The average UK worker wastes 22 minutes every day on IT issues, that’s around 11 days a year! This will directly affect your business, costing you time and money. It’s so important that a business, whether it is a big or small business, has an infrastructure, the equipment, software, and IT support services that will support both the employees and the business as the organisation grows and changes. We understand that there aren’t a one size fits all approach with IT support services, so our IT experts will tailor a solution to fit your business. Failure to take the correct precautions and failure to invest in up-to-date technologies can cost your business a fortune in the long run, downtime caused by improper technical solutions, servers failing, lack of backups and data loss could be insurmountable. 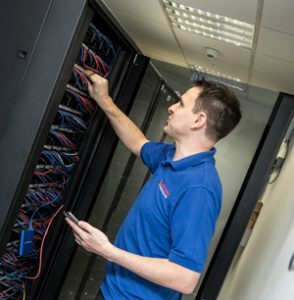 Midshire provides an extensive range of IT support packages to ensure businesses maximise the use of their office technology equipment and have backups and fail safes in place to protect a business when things go wrong. 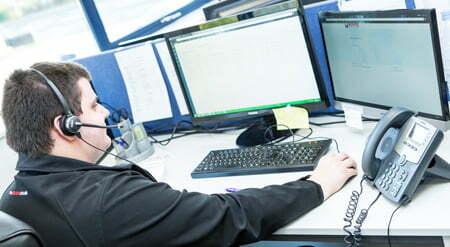 What kind of IT Support is available from Midshire? We understand that it’s the people within the business that makes the business. We work with individuals to determine the type and level of support that is required. This can range from annual support packages, right through to consultancy. Midshire has won numerous awards for its work in IT including ‘Best Office Technology Supplier in the UK’, ‘Best SME Support’ and a Megabuyte Top 25 Emerging Stars Award, ranked seventeen on the list for 2017. IT Infrastructure Support – Midshire offers a wide range of IT support services to protect and maintain IT infrastructure. From physical servers and storage devices, through to network infrastructure and disaster recovery. Midshire provides an end-to-end solution to support both on premise or off premise hardware. 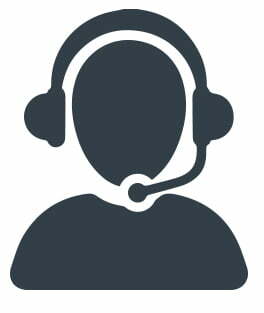 Remote IT Support Services – Our service desk has the ability support your business remotely, without the need to be on-site at your workplace, but using the latest technology to manage and monitor devices. Our end user remote support is fast, efficient and always has the end user in mind. On-site IT Support Services – Working in close conjunction with your office based teams, Midshire’s IT technicians will visit customer sites a to resolve hardware issues and any manner of IT issues that cannot be resolved remotely. On-site IT support can be a source of reassurance for employees who are experiencing issues, as they know an expert will be on-site regularly, sometimes on a scheduled day to provide assistance and problem solve. If required, Midshire can even organise a dedicated person to be on-site supporting your business on a full or part time basis. IT Consultancy – Midshire offer a wide range of IT consultancy support to SME and enterprise customers. Our solutions are designed to maximise return of investments and reduce downtime. Our technical experts are committed to work closely with your business delivering solutions to enhance and support your business. • Pay per user – Pay per user IT support packages are designed for the smaller organisation that may want flexible support for a small number of users. This can still be tailored to ensure we meet your day-to-day IT support needs. • Total Office Solution – Midshire supports many organisations who need a ‘Total Office Solution’ by way of IT support for employees and the IT infrastructure put in place. • Education IT Support – A school or academy can have very different requirements for IT support than your typical SME or business. That’s why we have a solution that is designed solely around the school environment.